We look forward to having you join our award winning team that works hard to uphold our motto. "ALL DAY, EVERY DAY, WE MAKE LIFE BETTER". Do you love working with a geriatric population? Or would you like to try working with a geriatric population? You will have the opportunity to work in memory care, rehabilitative care or long term care in a facility which is committed to caring for our residents in a home like atmosphere. 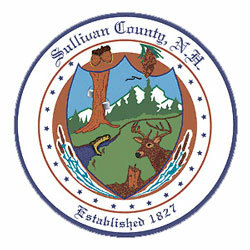 Sullivan County Health Care is a 156 bed skilled nursing facility located in a beautiful rural New Hampshire setting, where patient care is our number one priority. We have flexible scheduling including eight, twelve or sixteen hour shifts. We have a weekend stipend program which pays six hours of bonus pay per weekend, as well as per diem and premium per diem. We have shift differentials up to 20% on the weekends, one dollar per hour for evenings, one dollar and fifteen cents for overnight shifts. This is a specialized, professional and administrative position with responsibility to ensure delivery of appropriate high quality nursing and restorative care within the facility's policies and procedures. Ensures through supervisory and other practices that the assigned unit(s) is/are managed in conformance with the philosophy and policies of the facility and in accordance with Federal and State Regulations. Accurately receive, transcribe and carry out physician’s orders. Administer medications and treatments as ordered by the physician and make proper documentation via a computerized system of MARs/TARs and electronic documentation. Order and maintain all pharmaceuticals for the units. Observe each resident on a continuing basis alert to changes in mental and physical well-being; notifies the Supervisor of pertinent observations and discusses the need to notify physician; and receive Resident Status Report from off-going shift, and give on-coming shift a detailed report of each resident’s current status and events of the shift. Supervise LNAs in accordance with licensing requirements under the New Hampshire Board of Nursing. Assign and measure nursing staff resident care consistent with abilities, job description and scope of practice and supervise the care given; and assist direct-care staff with nursing care as necessary and as time allows. Accompany physician on resident rounds, on their assigned unit(s), to address residents’ medical needs and to facilitate communication during 60 day review. Administer the provision of oxygen in accordance with facility guidelines and procedures. Administer gastrostomy/jejunostomy feedings in accordance with policy and procedure. Perform wound care and have knowledge of wound vacs. Perform regular duties on the unit such as checking appointments for the day; checking Physical, Occupational and Speech Therapy appointments; checking activity board; reminding staff of ambulation list, weights, blood pressures, and to document nutritional charts. Monitor LNA documentation and update LNA clipboard; oversight of infection control practices on the unit; ensure that unit is clean and hazard-free. Following the chain of command, report any problems to the Nurse Manager/Nursing Supervisor. Encourage LNA observations and include them when documenting and reporting. A candidate for this position should be a high school graduate or equivalent; be a graduate of a School of Nursing program accredited by the American Nurses Association; maintain a current license in the State of New Hampshire as a Licensed Practical Nurse without restrictions or sanctions of any kind; and preferably will have experience in an Acute or Long Term Care facility; hold a current certification for CPR and may be required to obtain certification to administer IV therapy. A candidate for this position should have basic knowledge of nursing principles, practices and techniques; basic knowledge regulations pertaining to the nursing service and home and health care; basic knowledge of the control elements of communicable diseases, of geriatric care and nutrition; ability to prepare a variety of reports, such as those dealing with patient care; to establish and maintain effective and harmonious relationships with the staff, physicians, residents and families of patients; to instruct others in health care and hygiene; to receive and follow guidance of others, such as registered nurses and physicians; to perform a great deal of work independently; and to communicate effectively with others, both orally and in writing. Candidate must have computer skills. We offer competitive wages, medical, dental, life, short and long term disability and pension (retirement) benefits. We have a Tuition Reimbursement program for Nursing School of $3,500 per year. We offer IV Certification, CPR and continuing education classes at no cost to employees.